As humans there are lot of good and bad things we may come across in our lives. Its all about seeing it from the perspective of each individual. Whenever anything traumatic happens, it’s all about how we pick up the pieces and move on. Here is a great inspirational story of how a drunk driver who accidentally killed two innocent people and is now UNITING with the family of the victim on spreading awareness and having laws changed. Its the true human spirit! When one accepts the truth, they start a process of justice for themselves and due to the freedom may end up helping others for a greater good – Edie Windsor is a recent example. When there is denial and lying, it becomes a self-serving selfish proposition with no real solution to provide relief for victims. As humans, we want TRUTH and move on…LIES only slow us down but cannot BREAK us. What do you think about a couple in an intersex marriage in the 2000s who were also immigrants and infertile and created IVF children who are now in LEGAL LIMBO should do? Should they continue to lie, live in secrecy and hence continue to defend the lies and wild allegations or come together right now and solve the issue of the innocent IVF children – two siblings who are clearly in LEGAL LIMBO. Do the innocent IVF children deserve better? In this one case, there are so many “greater goods” if TRUTH is allowed to be shared. A Canadian couple moved to India for 6 years before they were allowed to bring their IVF child to Canada – power of staying UNITED and saying the TRUTH. “I’m really frank with the kids. They ask all the time and I jut give them really honest answers because they deserve that.” – said family of the victims in the drunk driving case. 1) What is wrong about spreading awareness about international IVF/surrogacy children and families especially when no laws exist? The first step is to accept the children are IVF both in privacy of the home and in court instead of making false claims including producing fraudulent records. The IVF children deserve the truth and others like them deserve equal rights and laws. Why punish innocent children for crimes of adults? 2) Actions have placed two lovely IVF children in LEGAL LIMBO. Would it be better to UNITE and get them legalized as per laws in their own best interest? Or should we live in continued silence and abuse? Will others benefit from the change in laws for international IVF/Surrogacy? 3) Would it LESSEN the LOVE of a parent if they were to declare the fact their child is IVF? Lies would lessen the love, TRUTH will only strengthen it. 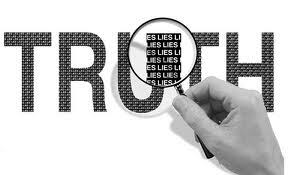 Lies both in the privacy of home and lies in the court are detrimental to the child. What would be wrong in having a law to declare all ongoing IVF pregnancies when filing for divorce so that the best interest of the IVF child is maintained? Is an IVF child a LESS of a child? 4) Experts including people in authority who may have never experienced infertility or immigration issues themselves are worried about the “IVF child” and choose to “hide facts” from them like doctors did with intersex children in a failed approach. Why would lying to children be OK especially lies that include breaking the laws? What does a REAL EXPERT think – in the words of an IVF child? 5) IVF is too new a technology (35 years and counting) mostly dealt with secrecy and only now people are speaking up on dealing with IVF and issues – medical, financial, legal, immigration, etc. Now first set of scientific studies are coming out and the effects on behaviour of IVF children and special needs to address it. An IVF child can get the help and support they deserve only if they are told the TRUTH! Do IVF children deserve that for their own mental and physical health? Is it their right as a human being or are they “property”? 6) Angelina Jolie made quite a few points recently. By going public with her double masectomy, she raised awareness to a new level. Her TRUTH empowered so many others also. She revealed that through genetics she was able to deduce the “risk factor” and make an “informed decision”. Do IVF children deserve the same rights to know the biology of their parent when available? 7) Just like Angelina Jolie revealed her medical diagnosis and her decision, why would it be wrong to say one is intersex or a spouse of intersex and the issues they are dealing with from marriage rights, immigration rights, fertility rights, medical rights, etc. It takes strength and courage to say the TRUTH. 8) If the UN Special Rapporteur on Torture has called for a STOP on the controversial intersex surgery, was there any torture if the same surgery is done in secrecy during a marriage? What are its effects? Several intersex people have this controversial surgery, how many of them have done this during a marriage? 9) What is the check and balance system against the medical experts who send unsuspecting intersex married couples as canaries in the coal mine? And how do medical experts know what is the “right protocol” to follow if there are hardly any instances to follow for intersex surgery during a marriage? There are several medical conditions for which humans do not have answers but LYING is not the solution. 10) If the so called medical experts believe they have done no wrong then what is the need to falsify and fraud on medical records? Do the medical experts who fraud medical records understand the full impact of their actions on unsuspecting victims including innocent children even if inadvertently? 11) If a CAIS person can go around showcasing a medical record stating they had “removal of ovaries”, does that mean we as a humankind have “solved” the CAIS issue? Does that mean all future babies who are born with CAIS will have “ovaries” or “testes”? By lying, are we IGNORING other effects of medical fraud? Is it better to empower each person with the TRUTH?